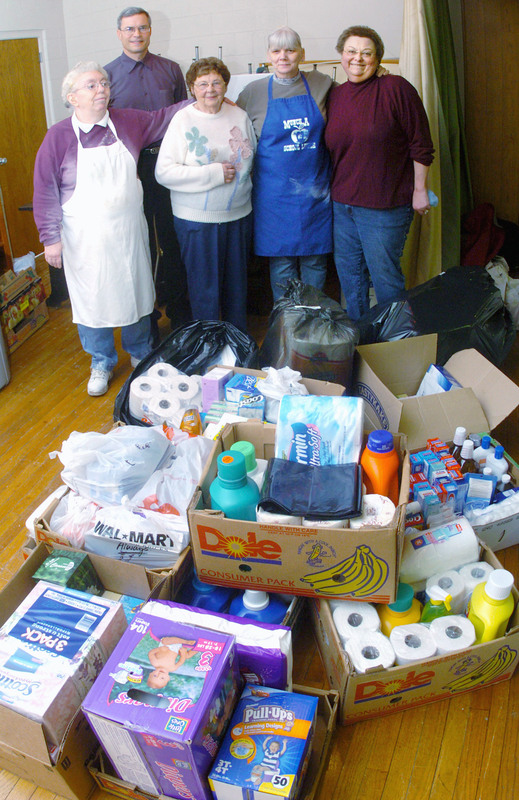 * Posing with donations collected from members of Ss. Cyril and Methodius Ukrainian Catholic Church in Berwick, from left, are Sacred Heart Society president Shirely Fowler, the Rev. John Seniw, and Sacred Heart Society members Lottie Fedorco, Linn Trapane, and Patti Redden. The household goods will be donated to the Beyond Violence women's shelter in Berwick. 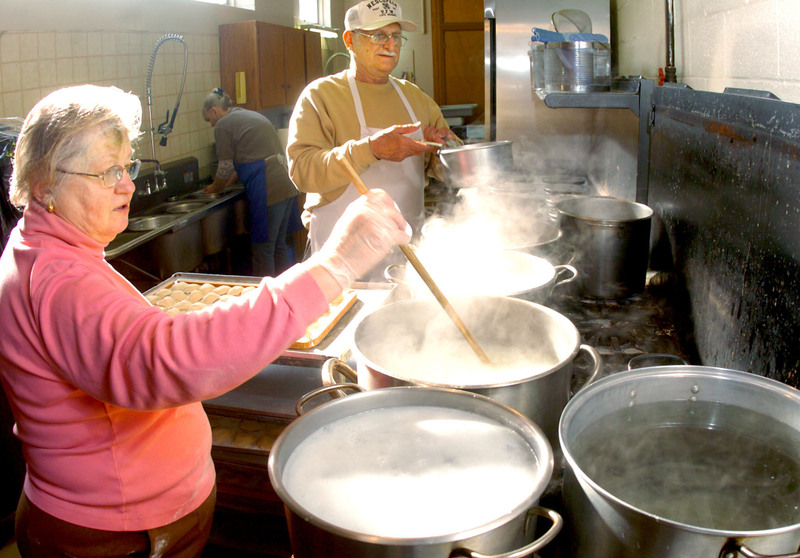 * Majorie Matash and Marvin Kapuschinsky boil pyrohy, commonly known as pierogies, at Ss. Cyril and Methodius Ukrainian Catholic Church in Berwick on Friday. Church members and friends make and sell pyrohy in the church basement from October through March. 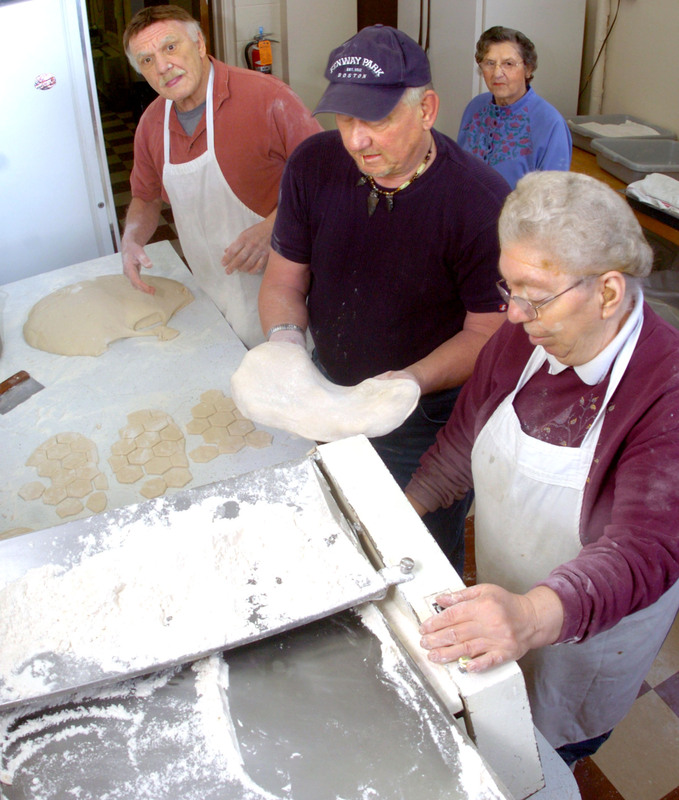 * Dan Williams, left, John Lupashinski, Katie Jasimski, background, and Shirley Fowler prepare pyrohy dough in the kitchen of the church. 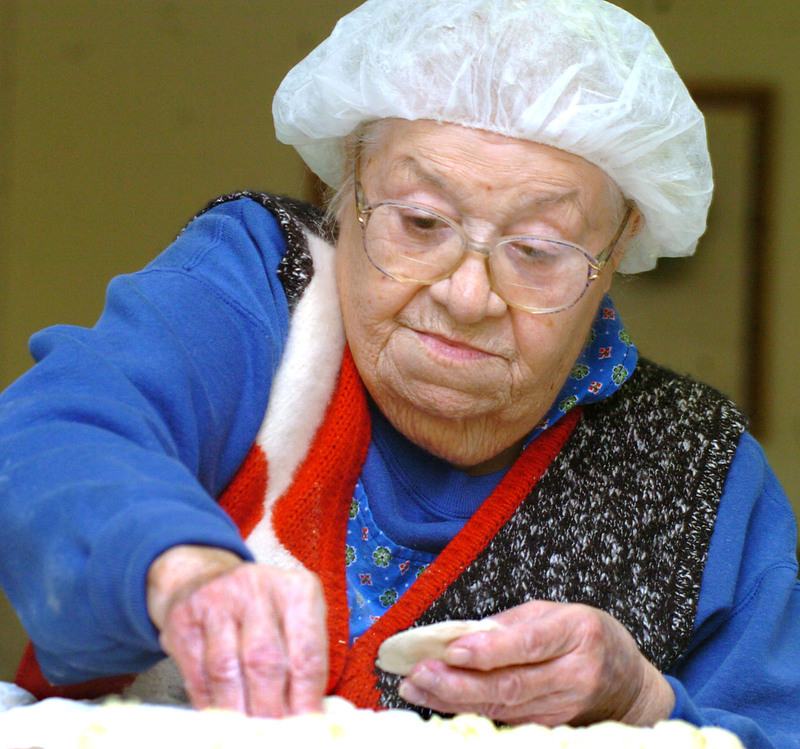 * Sue Macuski, 89, pinches pyrohy dough to seal it around the potato filling. Church volunteers make an average of 300 dozen during a day of preparing and cooking pyrohy. * Linn Trapane finishes the cooked pyrohy in the church basement.